The Trickster Makes a Match is LIVE! You are here: Home / Bria Quinlan / The Trickster Makes a Match is LIVE! 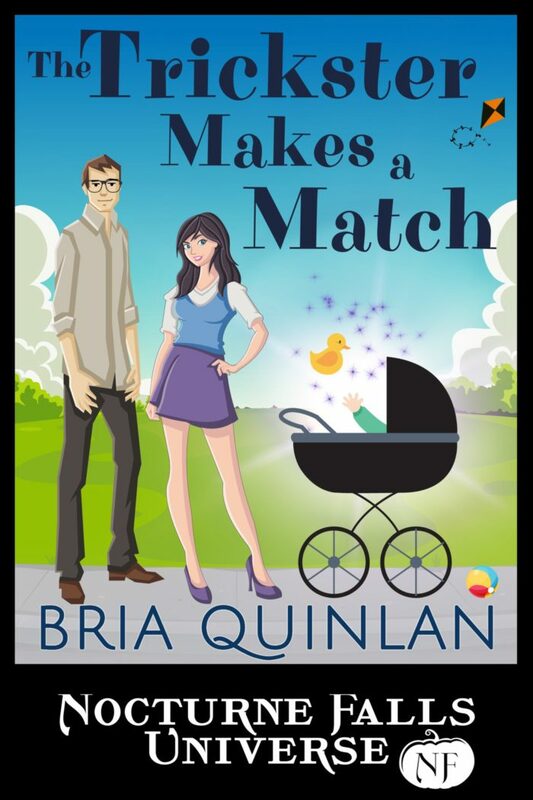 I’m THRILLED to tell you that The Trickster Makes a Match is liiiiiivvvvvvvveeeee! Minx Marksman–daughter of a Supermodel and a famous Rocker–wants nothing more than a normal, crazy-free life. One more nannying gig will earn her enough to achieve her dream of small cottage on the coast. That last job brings her to Nocturne Falls where she’s surprised to find out it’s Halloween every day.